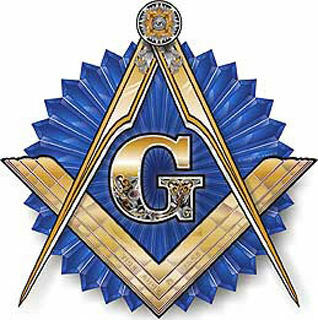 There is a direct connection between Freemasonry and the ancient Babylonian mystery religion from which the ancient pagan religions of Egypt, Persia, Greece and Rome eventually developed. It all goes back to a man named Nimrod who the Freemasons view as the true originator of their Order. Nimrod was a great Mesopotamian king who founded the city of Babylon and established the first great empire after Noah’s flood. He is also traditionally associated with the Tower of Babel. According to tradition, Nimrod sought to turn men away from God by setting up a tyrannical government and setting up a new religion. In fact, the new religion centered around Nimrod and his wife Semiramis eventually evolved into Baal worship from which all the pagan religions of the Middle East and Europe later developed. Not only that, according to the Encyclopedia of Freemasonry: The legend of the Craft in the Old Constitutions, Nimrod is one of the founders of Masonry. In fact initiates in at least some forms of Freemasonry are still required to take the “Oath of Nimrod” even today. The Spring 2006 issue of Freemasonry Today (a Masonic publication) tells us that the Oath of Nimrod is part of the initiation process for the “indentured apprentice”…..